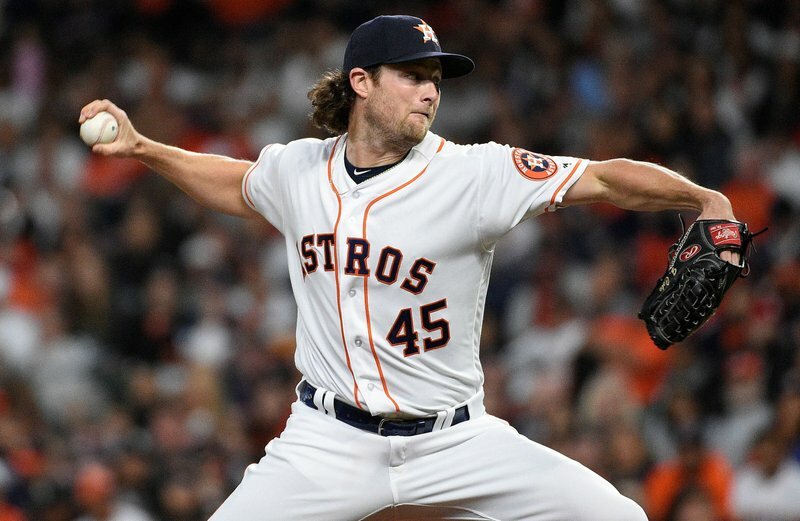 Gerrit Cole can become the first Astros pitcher since Randy Johnson in 1998 to reach double-digit strikeouts in four straight games when Houston faces Seattle. Cole would tie Nolan Ryan for the second-longest double-digit strikeout streak in franchise history — Johnson and J.R. Richard share the team record with five such games in a row. Cole (3-0, 1.29 ERA) has 36 strikeouts in 21 innings and leads all qualified starters with 15.43 strikeouts per nine innings. Rick Porcello (3-0, 1.83) is looking more like the Red Sox ace who won the AL Cy Young Award in 2016, a trend he’ll try to keep up against the Angels. Porcello’s ERA went from 3.15 in 2016 to 4.65 last year, but he’s dominated early on this season, including when he carried a no-hitter into the seventh inning against the Yankees last Thursday. Los Angeles will likely be without Shohei Ohtani a day after the two-way star started on the mound. The Tigers moved the start time for their home game against Baltimore to 1:10 p.m. in anticipation of bad weather later in the day. The game was originally scheduled for 6:40 p.m., but Detroit made the switch after consulting with the Orioles and Major League Baseball. Detroit had two games in a home series against the Yankees postponed last weekend, meaning New York will have to fly back to Detroit for a doubleheader in June. This is the only scheduled visit to Detroit for Baltimore. J.T. Realmuto is making a fast impact on Miami since returning from the DL. The athletic catcher made his season debut Tuesday after opening the year on the DL and hit a three-run homer against the Yankees. Realmuto was among the few proven players left on the Marlins roster after offseason trades of NL MVP Giancarlo Stanton, Marcell Ozuna, Christian Yelich and Dee Gordon. Miami was 4-12 with Realmuto on the shelf.